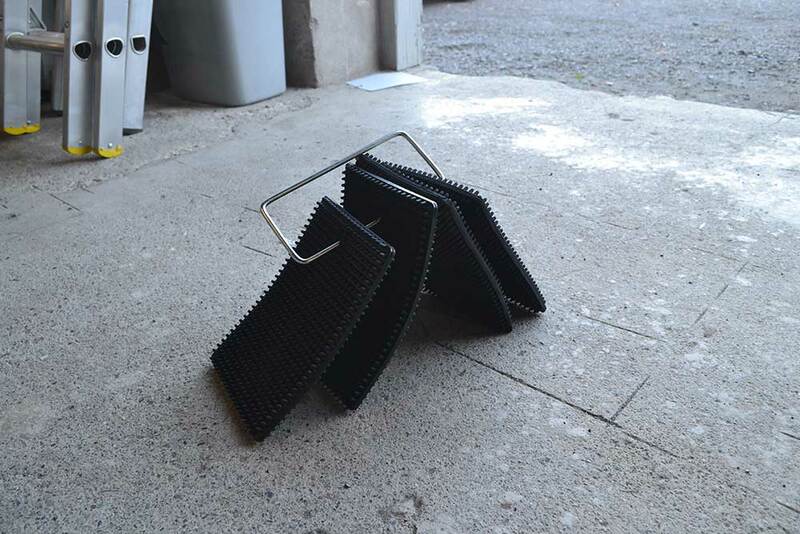 Four mats, made from heavy-duty rubber matting with nodules, are linked by a sturdy metal loop and offer adjustable anti-slip locking to go under the ladder foot needing extra height. 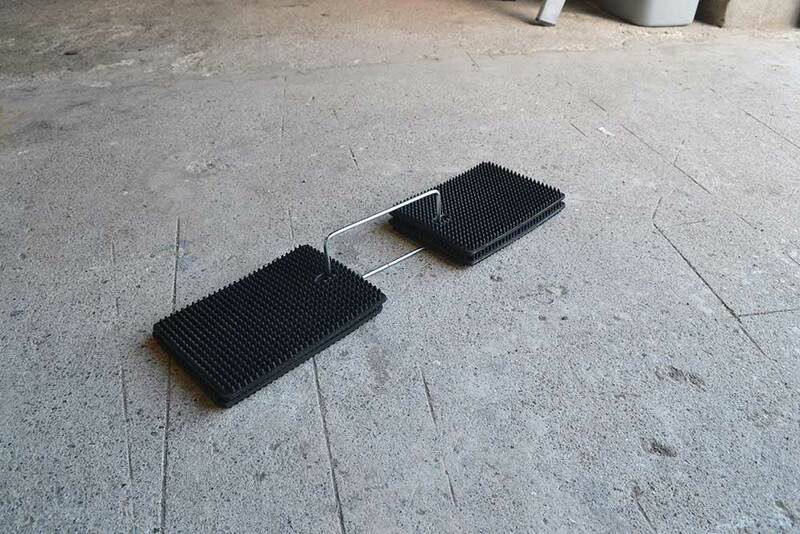 Or can be put under both feet to reduce the risk of slipping or of sinking into soft ground. 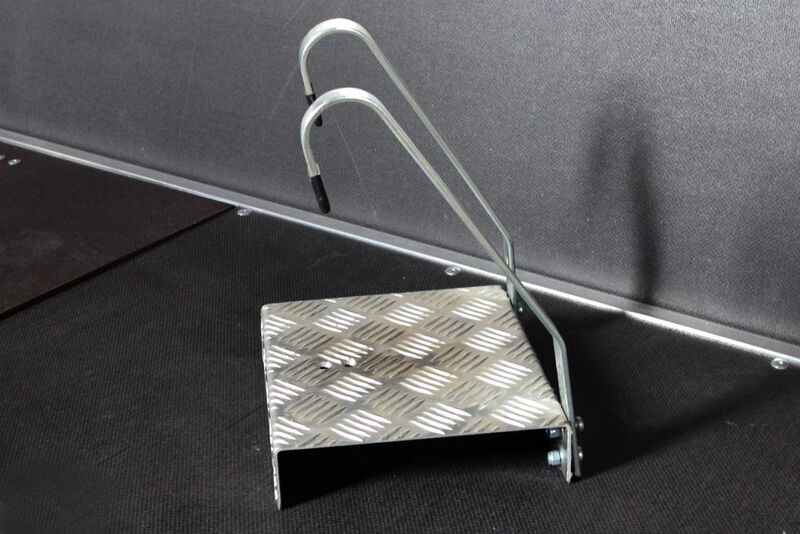 This accessory makes the ladders secure when stored. 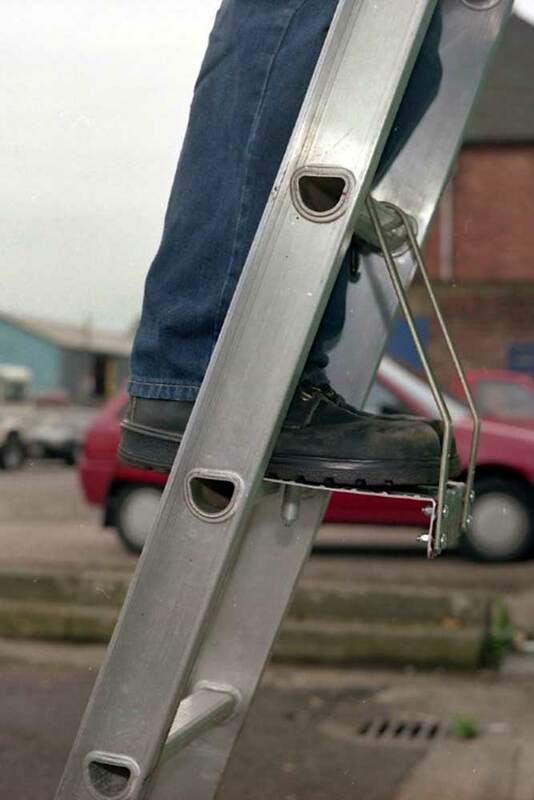 Secure the ladders and steps safely to a roof, ladder or van rack. Protects against cross winds, theft and accidents. 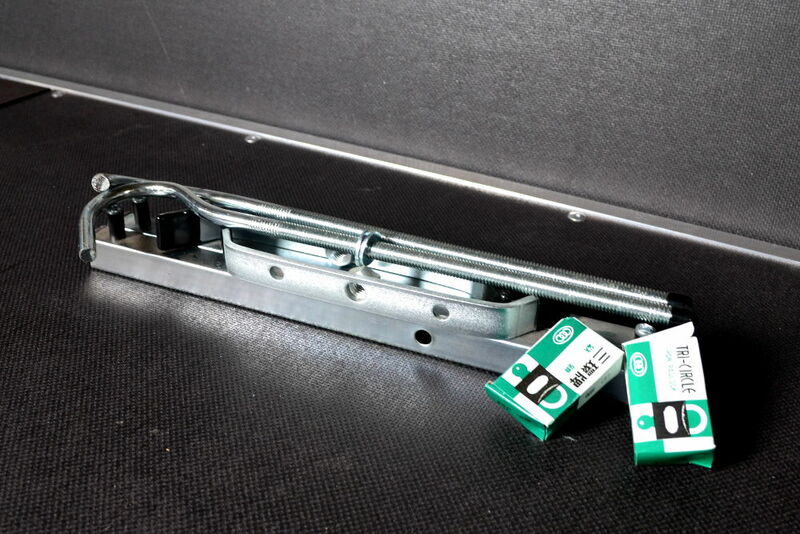 Simple to install with just a spanner, easy to change from vehicle to vehicle. 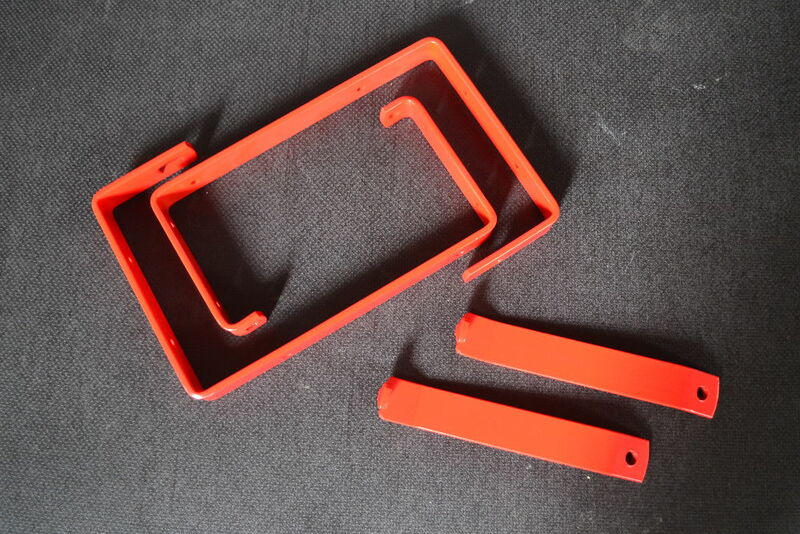 Comes complete with padlock and 1 year manufacturers warranty against defects. 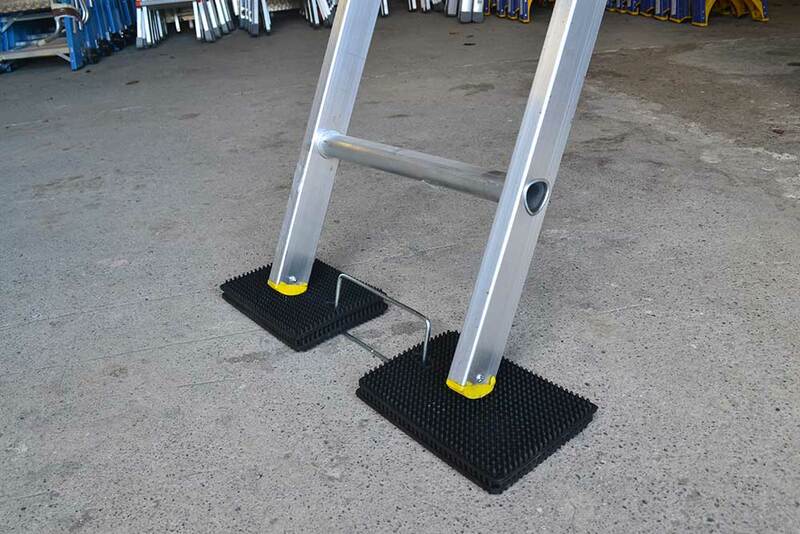 This product considerably reduces risk of outward ladder slip. 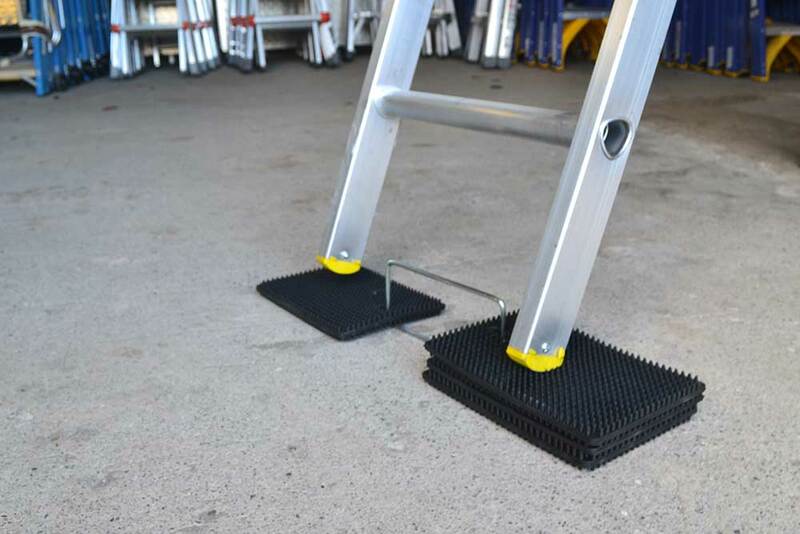 It braces ladder to reduce the amount of flex or “bounce” to make users feel more secure. 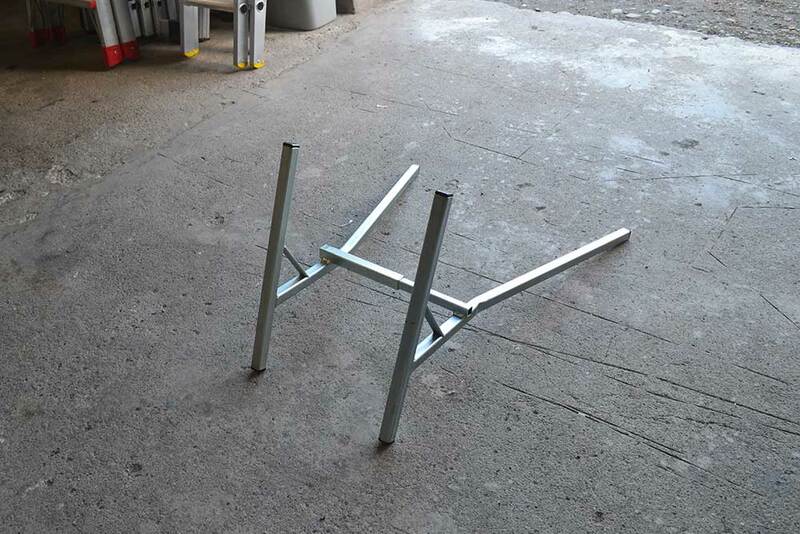 It increases the effective base of the ladder by forming a much larger trapezium- shaped base than with just the ladder itself. This gives more sideways stability. 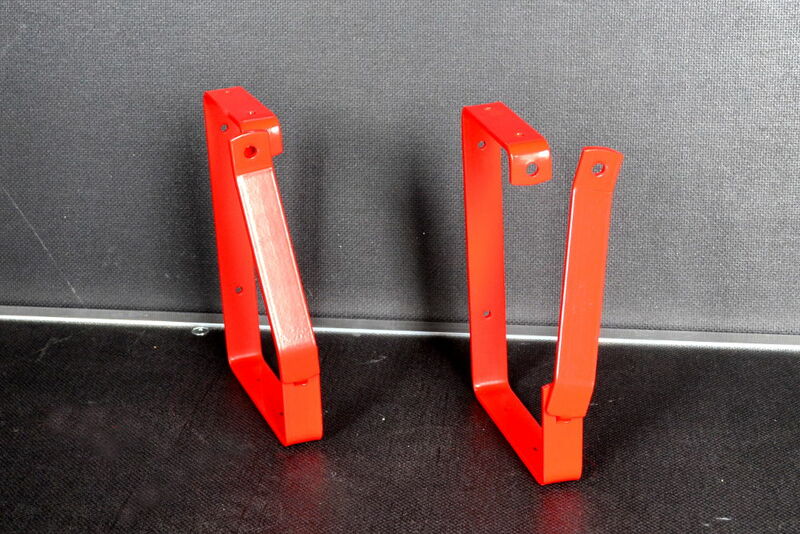 It ensures that users erect the ladder at approximately the recommended angle. 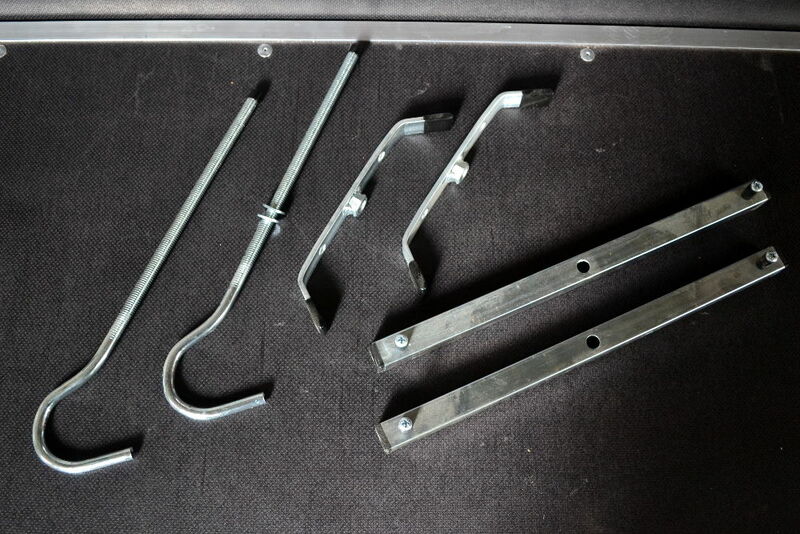 This will vary slightly depending on the configuration of the ladder. It takes less than 5 seconds to fit. 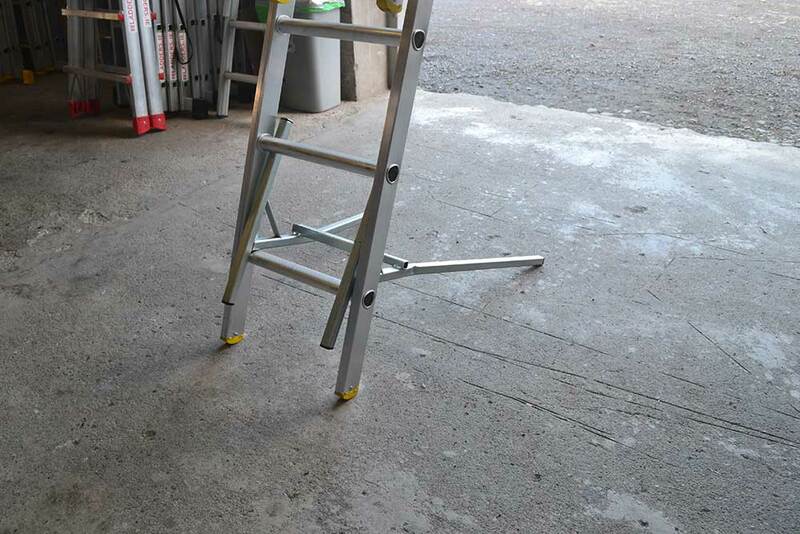 Most importantly for employers, Ladder Mate costs less than a days pay for another person to foot the ladder and once bought it will last for years.